The LOFT Friends & Family Sale has officially kicked off, and everything will be on sale from now until Monday, October 22nd!! Amazing that it’s going to last that long, but I can guarantee things will sell our quickly… so if you have any must-haves, I would get them ASAP! 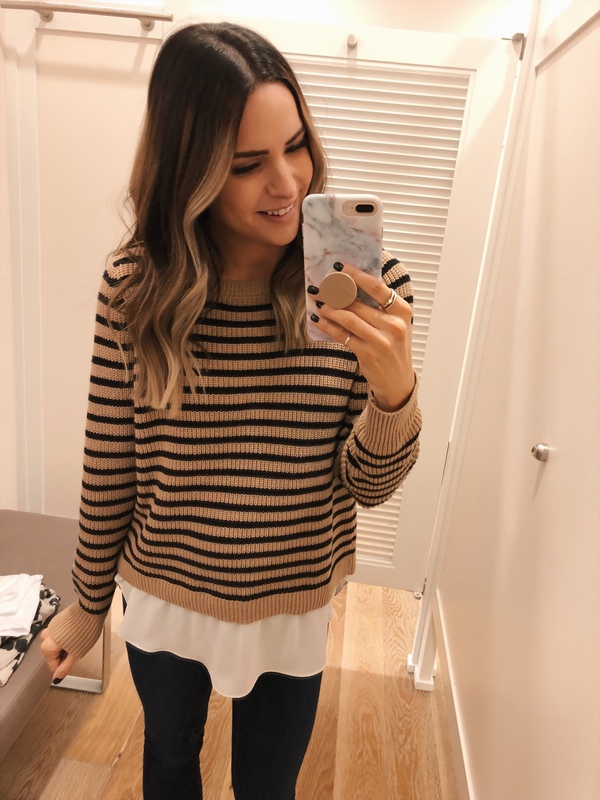 Today, I’m sharing my favorite new arrivals and a try-on session so you can get a better idea of how they look on, sizing, material, etc.! I always find these so helpful, and wanted to get this one on the blog for easy reference instead of just keeping it on my Instagram TRY-ONS profile highlight. I have provided a video below of that try-on, as well as photos! 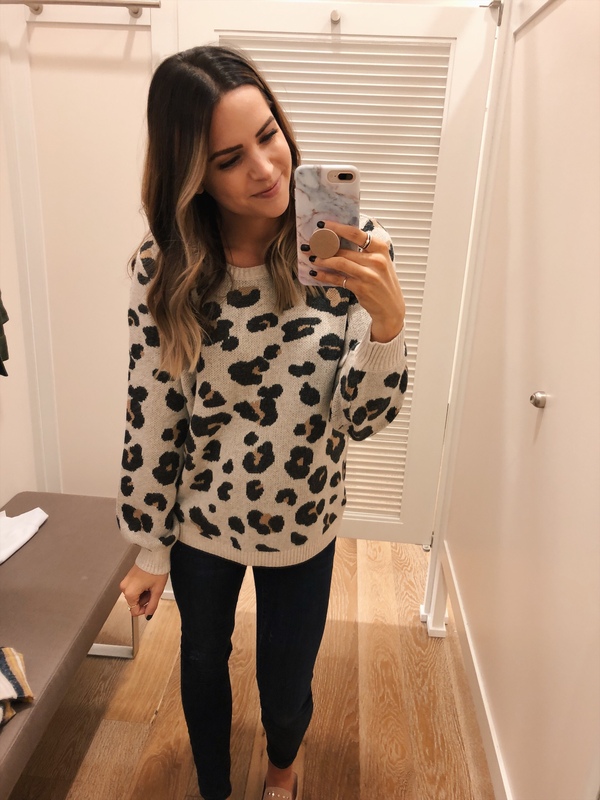 Leopard Jacquard Sweater // Sized up to L for the bump and to get a more oversized fit – I would size up unless you want it to be fitted! 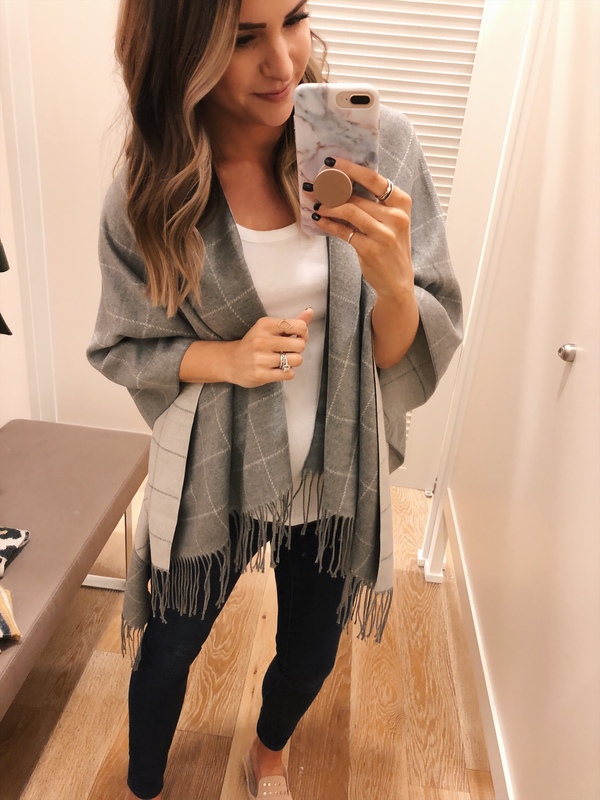 Reversible Plaid Poncho Wrap // One size – SO soft, and love that it’s reversible! It’s like 2 wraps in one! 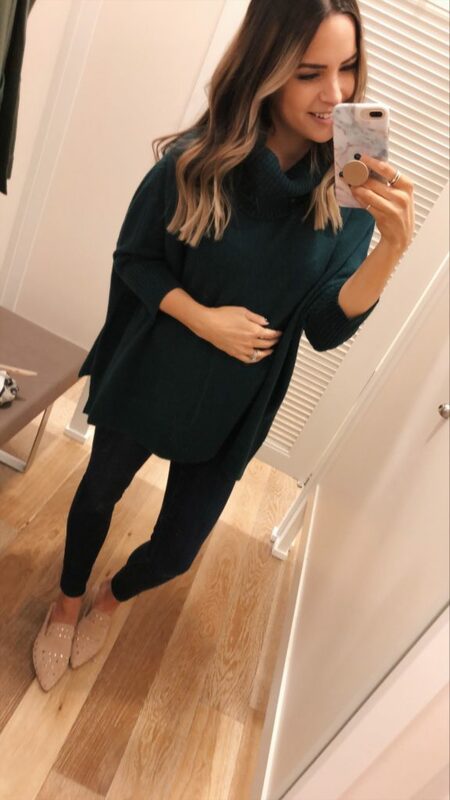 Cowl Neck Tunic // TTS, wearing a small. Soft material and has nice length! Great layering piece (seen layered with 2 vests below). 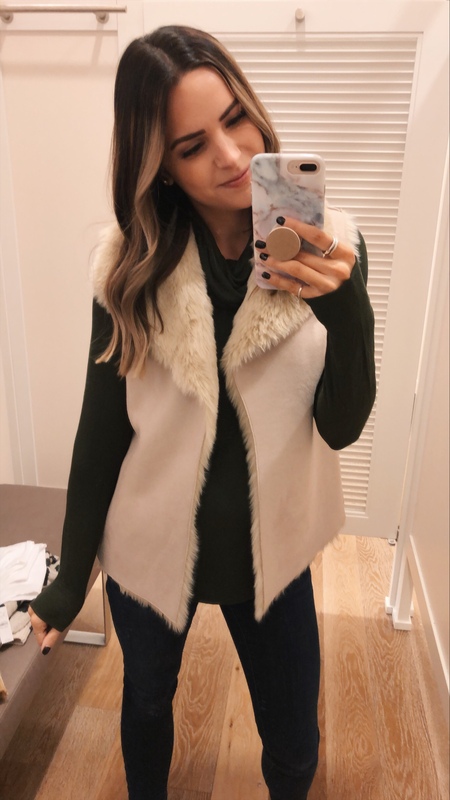 Faux Fur Lined Vest // TTS, wearing a small. So pretty and will take you through winter! 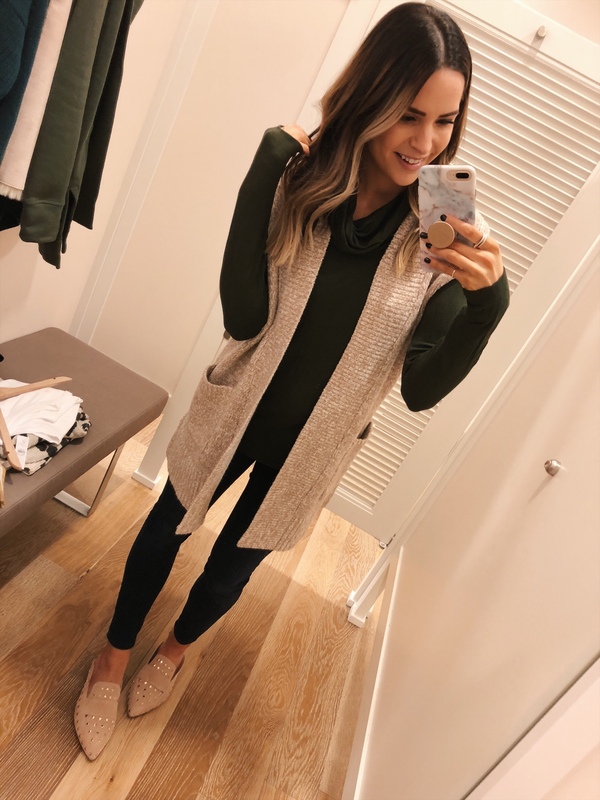 Pocket Sweater Vest // TTS, wearing the XS/S size. 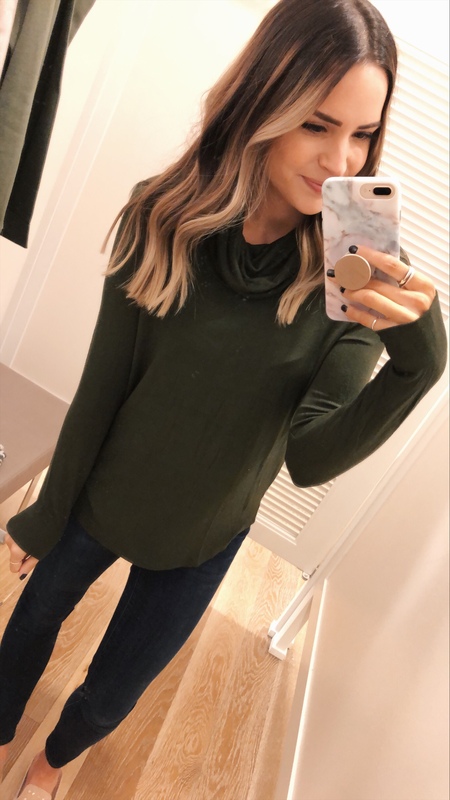 This is so cute dressed up or down – dress it up for the office or dress it down with leggings and sneakers! 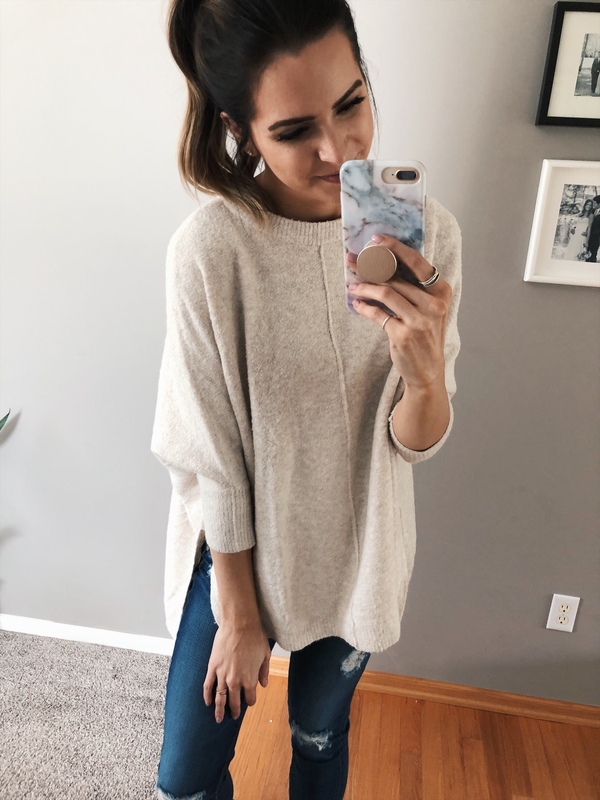 Hooded Pocket Open Cardigan // TTS, wearing a small. 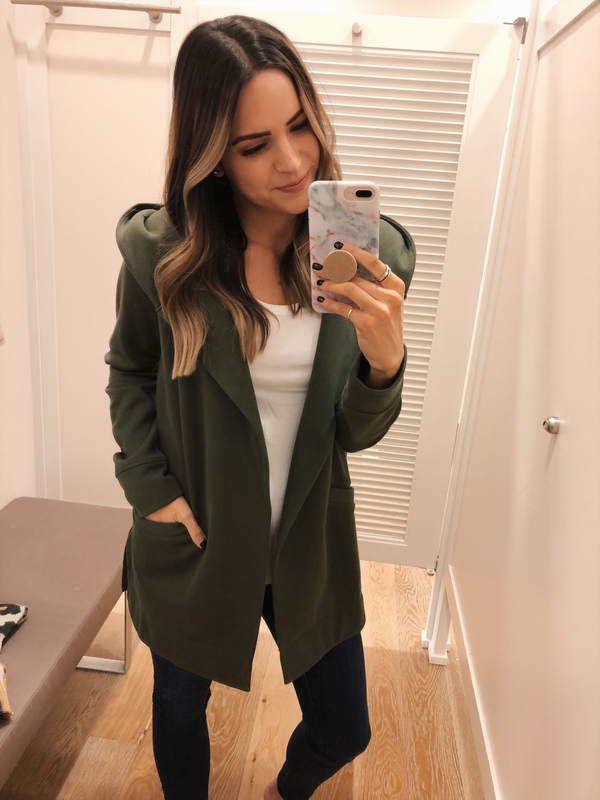 This is a mix between a jacket and a cardi and I love it! Great for on the go and running errands. Nice and long too! 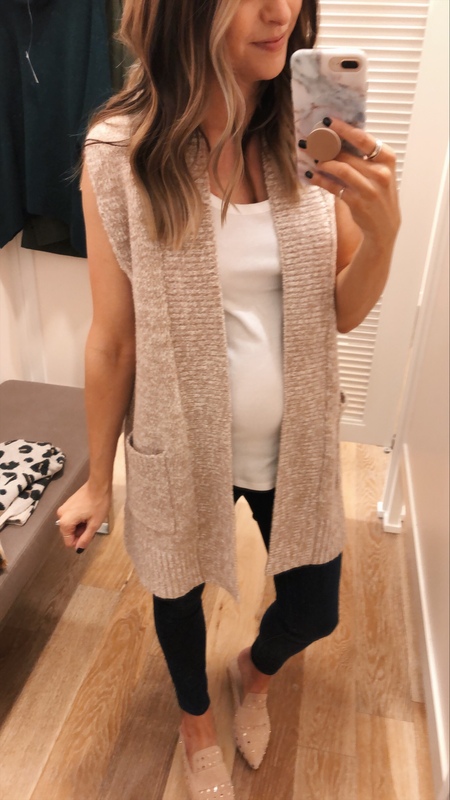 Shawl Pocket Open Cardigan // I sized up to a M in this since a small wasn’t available in store, but you would be fine getting your true size unless you want a bit of an oversized fit! This one comes in more colors too! Ribbed Fringe Wrap // One size – this one isn’t available in ivory anymore, but it is in black! This is another soft and beautiful wrap that’s great for travel, too! 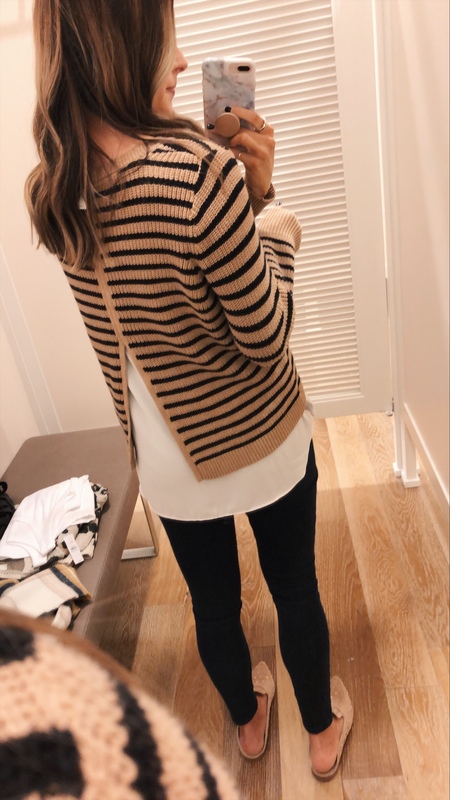 Striped Shawl Open Pocket Cardigan // TTS, wearing S. This might be in my top 5 favorite Loft purchases ever! What are your favorites? I’d love to hear from you! Thanks for reading, and happy shopping!! I enjoyed reading this post! I enjoy reading your blog! I have never been to loft but I feel like I need to go! So many cute pieces!